If you like your cottage cheese very creamy, then you might like the Essential Waitrose varieties. 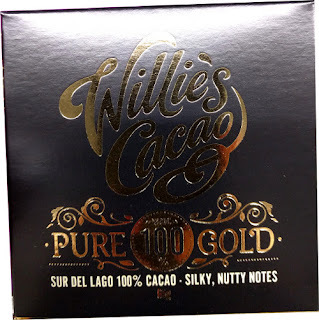 They’re low in fat and saturates and very mild and creamy tasting. Since Pineapple cottage cheese is almost an addiction of mine, (and I’ve tried almost every brand I can find), their pineapple cottage cheese is one of the best. 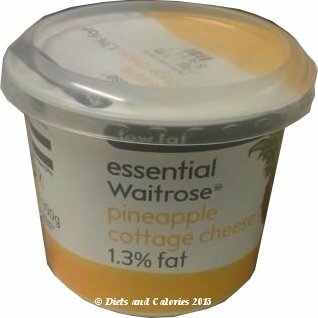 Each pot of cottage cheese contains 1.3g of fat and 12% pineapple pieces. 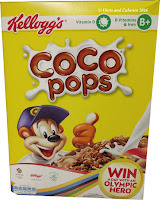 The added ingredients are water, sugar and salt. This is a particularly creamy cottage cheese with big lumpy bits and chunky pieces of pineapple. The overall consistency can vary a tiny bit from week to week, but generally it remains the same. For a low calorie breadless sandwich, I pile a large spoonful of pineapple cottage cheese into a couple of large lettuce leaves and wrap it up. Ideal for the 5:2 diet. With regards to taste, I'd place Essential Waitrose Pineapple Cottage Cheese in second place after the M&S brand which remains my favourite. 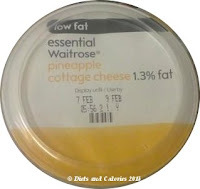 Nutrition wise, it has a reasonable amount of fibre (from the pineapple) which is good for a cottage cheese. It's also low in fat and saturated fat. However, due to the addition of sugar and salt, these levels have strayed outside the green traffic light and into the amber area. See the Traffic Light Labelling system post for more information on what this means). This cottage cheese is available in 300g pots and has a shelf life of up to 2 weeks if purchased soon after it reaches the shelves. Available in the dairy section of the chilled cabinets in Waitrose or online. 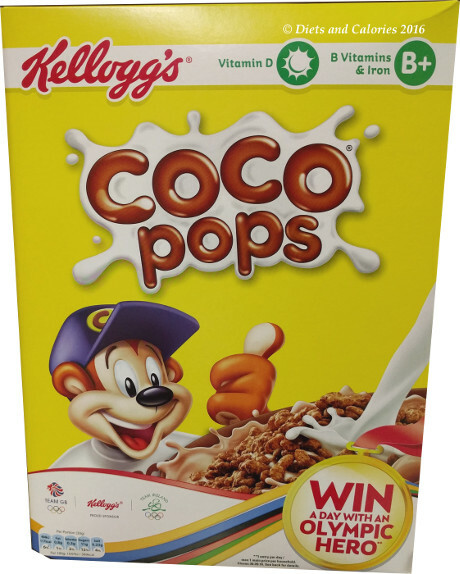 Nutrition Information 100g: 83 calories, 7.9g protein, 10.0g carbohydrate, 8.1g sugar, 1.3g fat, 1.2g saturates, 2.4g fibre, 0.22g sodium. Suitable for vegetarians.